As we approach the upcoming 90th Academy Awards, TV and City called on our resident film critic I Simon to share his thoughts on the Oscars, and his predictions and preferences for this year’s categories and nominees. Note that Simon will not be going through all of the categories, as there are categories that include movies he has not seen (Documentary, Short Film, Foreign Film, etc.,). As someone who absolutely loves cinema, I typically do not hold the Oscars in high regard, as 1) I do not feel that awards really determine the quality of a film, performance, script, or technical element, and 2) The AMPAS (Academy of Motion Picture Arts and Sciences) have made so many questionable decisions, some of which come off as biased (i.e. : handing out nominations to Meryl Streep almost every single year she appears in a film) and/or solely based on politics. For example, why does a mediocre film like Darkest Hour, which has nothing really exceptional or noteworthy going for it (other than Gary Oldman’s Oscar nominated performance and the makeup), get six Academy Award nominations, including Best Picture, while Blade Runner 2049, which is very much the best film of 2017, gets only five technical nods and that’s it, and films such as A Ghost Story and Good Time, which are two of the best films of 2017, get shut out of the Oscars completely? I will fully acknowledge that the AMPAS has gotten some wins on point. One of the things that I give them credit for is giving Oscars to the sole best performance of the year for three years in a row (J.K. Simmons for Whiplash in 2014/15, Brie Larson for Room in 2015/16, and Casey Affleck for Manchester By the Sea in 2016/17), and they awarded the late, great Heath Ledger for his phenomenal turn as Joker in The Dark Knight, but often they make so many decisions that I struggle to understand how and why they came up with that decision. Now that I’ve gotten my mini rant out of the way, let’s get to the predictions. All of these nominees I pretty much agree with. I think that all five of these films had some of the best VFX of 2017. That said, what stood out to me most of the five is Blade Runner 2049. While the film had some CGI, it used a lot of practical effects, and everything blends perfectly and looks seamless. The fact that they made that holographic love scene (if you’ve seen Blade Runner 2049, you’ll know what I am talking about) work so well is incredible. Every single visual effect in Blade Runner 2049 looked perfect. That said, the front runner seems to be War for the Planet of the Apes, and that trilogy has not won in this category yet, despite deserving to. All of the apes in those films look incredibly lifelike, and combined with the talented motion capture work put into them (especially Andy Serkis as the lead, Caesar, who does not get the credit that he deserves, due to the AMPAS’s bias against motion capture performances), they feel like real characters instead of CGI creations. While I am rooting for Blade Runner 2049 to win in this category, if War for the Planet of the Apes does end up winning, I would not be surprised and would be fine with that, as it would be something of a nod to what Andy Serkis has done in the role of Caesar, and this trilogy has earned it. I have not seen Victoria and Abdul. Beauty and the Beast I completely disagree with. That slot definitely could’ve gone to something like Free Fire instead, as the costumes in that film were creative, and complimented the style and tone of the film. Then, we have the remaining three nominees. All three have good costumes, and despite The Shape of Water having won the guild award, I think that Phantom Thread will and should win. It’s a film that literally revolves around a dressmaker, and the costumes & dresses are very, very well designed. That said, The Shape of Water could still take it. Don’t really care about this category one bit, but Darkest Hour will win. So, I’d like to start off on this category by saying that I Get Overwhelmed from A Ghost Story by Dark Rooms getting robbed of an Oscar nomination is a crime. That was easily one of the best songs of 2017 as a whole (it’s a masterpiece of music and just absolutely beautiful in both the way it’s performed and the lyrics), and from what I know, it was written into the film before it officially released to the public, so it technically should qualify as an Original Song. Either way, it’s disappointing that it did not make the cut. That said, out of these five, Mystery of Love is easily my pick. While I was not the biggest fan of Call Me By Your Name (I will explain why later on in this piece), I absolutely loved the music in that film, and Mystery of Love is one of the standouts. It’s well performed and the lyrics are fantastic. If anything should win in this category, it’s that. However, despite how awful This Is Me is, that seems to be the front runner, and will probably end up taking home the prize. Because 1) It won the Golden Globe, 2) Hollywood loves musicals, and 3) It’s written by the lyricists of La La Land. That said, Remember Me could sneak in and end up taking it home instead of This Is Me. 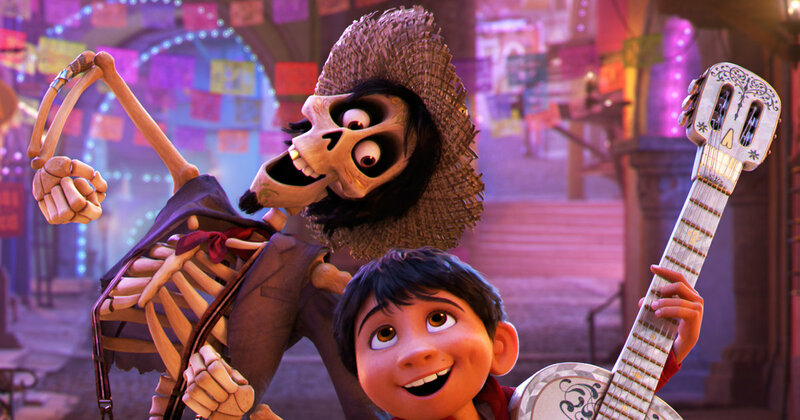 Coco was a major hit critically and commercially, and it’s Pixar, which is owned by Disney, who owns ABC, the channel that the Academy Awards air on. Alright, to start off, Oneotrix Point Never’s score for Good Time, which is the best score of 2017 (in my opinion) was completely robbed, but knowing how the Academy is, I am not surprised because the score for this film is “too different” for them. 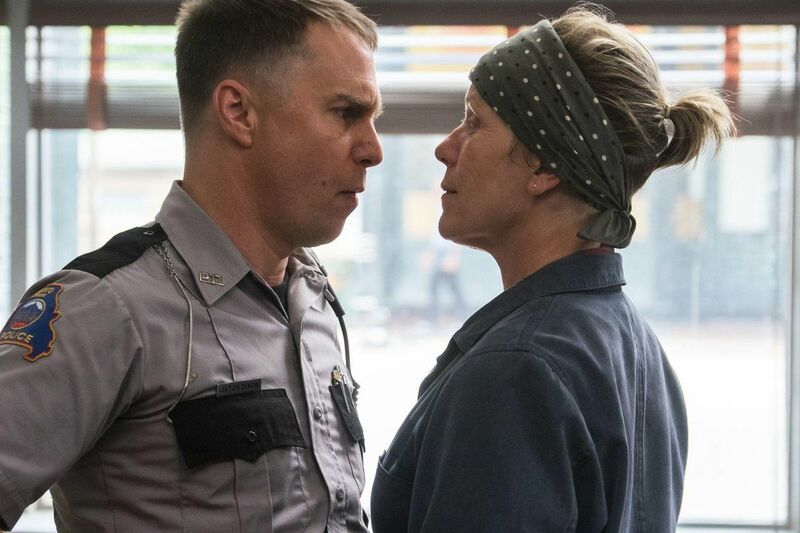 And as someone who really loved Three Billboards Outside Ebbing, Missouri (I even bought the Blu-Ray), the score isn’t that great. It’s not bad by any means, but there have been so many scores this year that were better. Star Wars: The Last Jedi getting a nomination in this category is predictable, but that said, it’s a great score, so I won’t complain. Then we have the other three nominees, all of which are great scores. Personally, I think that Hans Zimmer’s score for Dunkirk should win, as that is easily one of the very best scores of 2017, and it was a huge part of Dunkirk as a film. Besides Christopher Nolan’s direction, the score was the standout. That said, Alexandre Desplat is currently the front runner to win for The Shape of Water. He has seemingly won the most awards in the race so far. While I feel that Hans Zimmer’s score for Dunkirk is more deserving, Alexandre Desplat’s score for The Shape of Water would still be a worthy pick. First off, Beauty and the Beast should not be here. Many of the sets in that film looked cheap, and some of them looked like they were just composed of CGI. 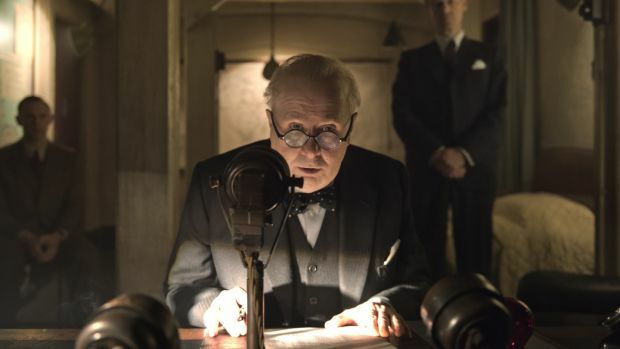 Next, Darkest Hour has really good production design, but nothing really exceptional. As for the other three nominees, all of them had really great production design, but the one that stood out to me most is Blade Runner 2049. All of the sets in that film looked absolutely incredible, especially considering that they used few-zero green screens. That said, The Shape of Water looks like it is the front runner, and deservingly so. Considering the $19 million budget, it’s pretty impressive how great the sets are. Even though I’m rooting for Blade Runner 2049, The Shape of Water still makes a very worthy pick. Dunkirk is currently the front runner for both sound categories, and I think it deserves to win both of them as well. The way that Dunkirk used sound as a whole to create tension is absolutely incredible. Every single bullet/gun shot and bomb sounds lifelike. The sound really pulls you into the film, and makes you feel like you are experiencing what the soldiers are experiencing. If Dunkirk can only win one or two technical awards, it should definitely be for sound. 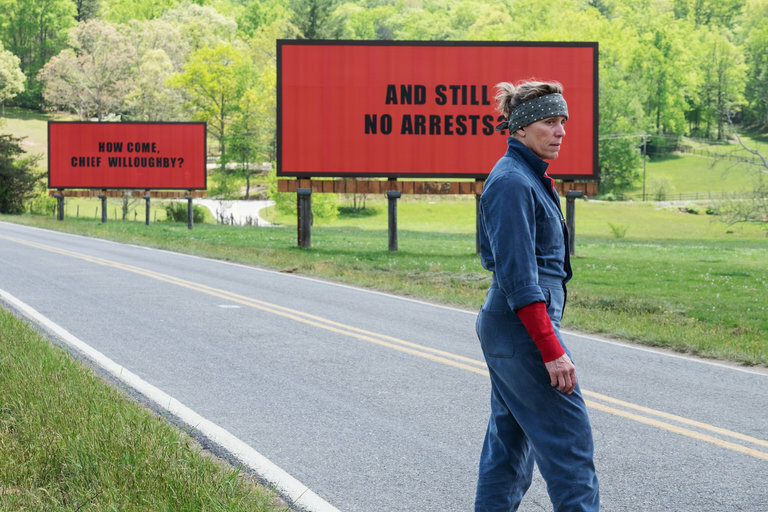 Like I said, I really loved Three Billboards Outside Ebbing, Missouri, but while it was definitely a well edited film, it’s nothing really special in that department. There were other films in 2017 with better editing. Some of them include A Ghost Story, Good Time, and Free Fire, the very latter actually being shot and edited in real time. As for I, Tonya, great editing, but I honestly don’t think the editing in that film is not as great as the three I have just mentioned, or the remaining three nominees. The two films that stand out to me most of these five in terms of editing are Baby Driver and Dunkirk. Dunkirk seems to be the front runner (which I am fine with), but I feel that Baby Driver may potentially have a shot, and deserves to win the most. 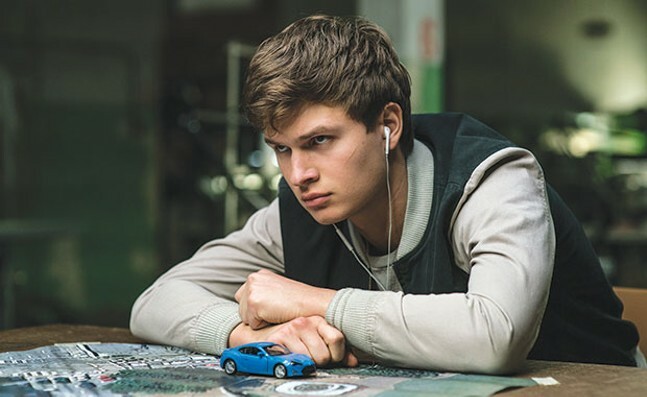 When I think of Baby Driver, editing is one of the first things that comes to mind. The very first car chase scene is phenomenal, and it works that well due to the excellent transitions from shot to shot and scene to scene. Dunkirk will likely win (and would be a deserving pick), but if Baby Driver won (and it does have a small chance of doing so), that would be fantastic. As of right now as I am writing this piece, I have not actually seen any of these yet. That said, Coco is definitely going to win. Not only is it a critical and commercial success and a cultural phenomenon (in fact, it’s the highest grossing film ever in Mexico), but it’s Pixar. Disney owns Pixar, Disney owns ABC, Oscars are run by ABC. Disney or Pixar films generally tend to win in this category. Who is the greatest living cinematographer? 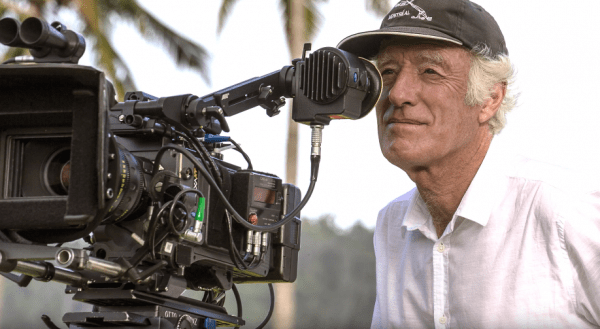 Roger Deakins. Who has been nominated 14 (FOURTEEN) times and has never once won, despite deserving to win on multiple occasions? Roger Deakins. Who worked on Blade Runner 2049, which is the best shot film of 2017, and one of the best shot films ever? Roger. Deakins. Roger Deakins is responsible for many films looking beautiful, but Blade Runner 2049 is his best work as a cinematographer to date. Every. Single. Shot in that film looks absolutely perfect. From the color palette, to the framing, to the lighting, to the many different angles used, it all looks absolutely gorgeous. He perfectly captures this world, and the film as a whole is not only a phenomenal film, but a feast for the eyes. I know I have mentioned that I typically do not hold the Oscars in high regard, but if Roger Deakins does get his Oscar this year that is not only well deserved for shooting this film alone, but is long overdue as well, any bit of respect I have for the AMPAS will be gone. I’m definitely in the minority on this, but I don’t get how the scripts for Lady Bird and The Big Sick are that great. I mean, they do have great elements, such as the mother-daughter angle, characterization of Christine, Marion and Larry, and dialogue of Lady Bird, and the realism, lack of rom-com cliches, and some of the dialogue of The Big Sick. That said, Lady Bird was full of cliches and the supporting characters were poorly developed. As for The Big Sick, the first act felt jarringly different from the rest of the film, some of the dialogue did feel improvised, and the comedy just did not land in my opinion. Personally, I would’ve nominated A Ghost Story and Good Time instead, but that’s just me. As for Get Out, The Shape of Water, and Three Billboards Outside Ebbing, Missouri, all three of these are among the best original screenplays of 2017, but the one original screenplay that stood out to me most is Martin McDonagh’s screenplay for Three Billboards Outside Ebbing, Missouri, which was one of the very best screenplays of 2017. Both the dramatic/darker and comedic elements work incredibly well, the characters and dialogue are fantastic, and the narrative as a whole is brilliantly written. This also is looking like the front runner to win the Oscar. It won several awards in this category already, including the BAFTA and the Golden Globe. That said, there is a shot that Get Out could take home the Best Original Screenplay Oscar as well. Not only has Get Out won the WGA (which Three Billboards did not even get a nomination for, unfortunately) and the Critics’ Choice Award, but it received mass critical acclaim and was a cultural phenomenon, eventually becoming the most profitable film of 2017. It seems like there’s a possibility that the Academy would want to award Jordan Peele in some way. While Three Billboards is looking like the front runner and my personal pick, I would not be surprised if Get Out ends up taking it, nor would I mind. Alright, Blade Runner 2049 was definitely robbed. That was an incredible script, and one of the best screenplays of 2017. The characters were fantastic, the dialogue is superb, the narrative and themes are excellent, and it does everything that a sequel should do, without doing any disrespect to its predecessor. Considering that I am not too crazy about the original Blade Runner, especially its screenplay, but the work of Michael Green (who also co-wrote the screenplay for Logan) and Hampton Fancher on Blade Runner 2049 was everything that I wanted it to be. As much as I really enjoyed The Disaster Artist, the screenplay was superb for the most part, but I wouldn’t say it’s really Oscar worthy. The film does turn out to be pretty cliche, and narratively, there’s nothing real exceptional about it, even if the first act is genuinely excellent, and the film is very amusing. That said, I’ve been wanting Scott Neustadter & Michael H. Weber to get recognition for a while, as they wrote multiple exceptionally great scripts, including their beautiful and brilliant work on The Spectacular Now (one of the greatest coming of age films ever made), so I guess I’ll view it as a career nomination. Mudbound had great elements, but I found the narrative to be a bit messy at times, the narration was not necessary, and I could not connect with any of the characters. While I thought it was very well directed, I did not think it was as well written. I absolutely love Aaron Sorkin, but his screenplay for Molly’s Game is, in my opinion, one of his weaker works. It’s not as great or as tightly constructed as his scripts for Steve Jobs or The Social Network, and since he made his directorial debut with the film too, he did not have someone like David Fincher or Danny Boyle to elevate the material to something more unique, but that said, it’s still a superb script despite its flaws, and I love Aaron Sorkin, so I’ll say that he did deserve the nomination. I’m definitely in the minority on this, but I did not think that Call Me By Your Name was all that great. While it definitely had great dialogue, I did not find any of the characters to be compelling one bit, and as a result, I could not get invested in the romance. I get why people love it, but I thought it was just fine. That said, this is a lock for the Oscar in this category. The screenplay has received mass acclaim, and it has won so many awards, including the WGA, as well as the USC Scripter, and for the past few years, the winner of the USC Scripter went onto win the Best Adapted Screenplay Oscar. The only nominated screenplay of these five that I genuinely loved is the screenplay for Logan, which is one of the very best screenplays of 2017. In comparison to other comic book films, it was so fresh, raw, and realistic. The characters and dialogue are incredible, and while the premise was somewhat familiar, the execution of it makes it feel really unique. This is actually the first superhero film to get an Oscar nomination in this category, and deservingly so. I’m not expecting Logan to win, but I would be so happy if it did. While not surprising, the lack of some of my favorites of the year in this category, especially Rooney Mara (A Ghost Story), is upsetting. Mara gave the best supporting female performance of 2017, one of the best performances of 2017, and one of her best performances to date, with little of a character on paper. Every bit of her character in A Ghost Story works as well as it does because of her performance, and the pie scene, which is one of the highlights of the film, works so well and is so heartbreaking because Rooney Mara sells it without a single false note. Mary J. Blige, I personally don’t get the acclaim for. I hardly even remember her in the film. If anyone should’ve been nominated, it’s Carey Mulligan. Lesley Manville is excellent in Phantom Thread. Octavia Spencer is superb in The Shape of Water, but I don’t think it is an Oscar worthy one. Then we have the two front runners, whom are Laurie Metcalf and Allison Janney. Laurie Metcalf is the sole standout of Lady Bird, and one of the reasons why the film is good instead of just average. She realistically portrays a mother, who might not get along with her daughter 100%, but still loves her. It’s an excellent, subtle performance, and if anyone out of these five nominees should win, it’s Laurie Metcalf. In contrast, while she may have won the SAG, Golden Globe, Critics’ Choice, BAFTA, and is the front runner in the race, many people agree (myself included) that Allison Janney’s performance in I, Tonya really is not that good. It’s too over the top for that character, she made her character comedic when she shouldn’t be, and it’s all show and no depth. The fact that Allison Janney is getting this much acclaim for her performance is ridiculous, and giving her the Oscar over Laurie Metcalf would be like if Denzel Washington had won over Casey Affleck last year. Like I said, it’s all show and no depth. That said, many pundits are predicting a Laurie Metcalf “upset,” so there’s still a chance of her winning the Oscar. If so, I am all for that. So, Buddy Duress was definitely robbed of a nomination for his show stealing performance in Good Time. Maybe it is partly because he was a criminal in the past, but he perfectly portrays his character, and his line delivery is perfect (especially his flashback monologue). I’d also like to point out that Michael Shannon was phenomenal in The Shape of Water. In fact, I’d argue that he should’ve been nominated over Richard Jenkins, who was definitely superb in The Shape of Water, but not Michael Shannon level at all. Shannon took a bunch of bad traits, and turned them into a real human character. Willem Dafoe was amazing in The Florida Project. Woody Harrelson was excellent in Three Billboards Outside Ebbing, Missouri. Have not actually seen All the Money in the World. Which leaves us to the final nominee, Sam Rockwell. who is also the front runner in this category, and gave us one of the best performances of 2017. Rockwell gave a phenomenal performance as a cop who is racist yet somewhat human. He has some layers so we can understand him a bit, but not too many or he won’t be unlikable like he should be. This is also Sam Rockwell’s best performance to date, and I cannot wait for him to win the Oscar. I’ve dug him as an actor for a while now, and I am so glad that he is finally getting the recognition that he deserves. Alright, I admit that I have not seen The Post yet (the only Best Picture nominee I haven’t seen), but Meryl Streep’s past few Oscar nominated performances were not that great, let alone that she’s been nominated 21 times and has won 3. She does not need anymore Oscars. I think most of us can agree on that. I disagree with the Margot Robbie nomination. I thought she was pretty great in the second half of I, Tonya, but just fine in the first half. Saoirse Ronan was excellent in Lady Bird, but I personally wouldn’t give her Best Actress when you have the other two whom I did not mention yet. Still, excellent performance. Then we have Sally Hawkins and Frances McDormand, both of whom were phenomenal in their respective roles. Sally Hawkins gives the best performance of 2017 in any category. She is charismatic in her role (she even channels a bit of Audrey Hepburn), yet perfectly portrays her character’s loneliness. She manages to convey so much emotion without saying a word, and brings a ton of emotional depth and weight to her role. 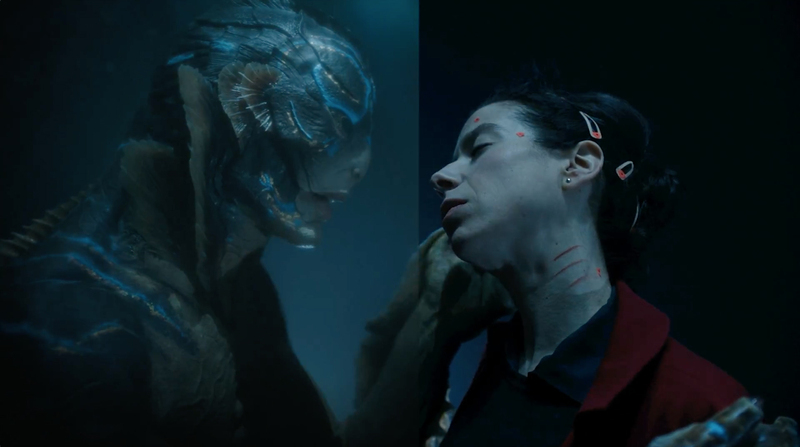 As incredible of a job that Guillermo del Toro did on The Shape of Water, Sally Hawkins is the core of what makes the film work. You take her out, and you don’t have the humanity of the film that makes it such a beautiful film. Not only is this the best performance of 2017, but one of the best performances I have ever seen. That said, Frances McDormand, the front runner to win, is phenomenal in Three Billboards. She perfectly portrays Mildred’s devastation over the loss of her daughter, as well as her darkly comedic side. She perfectly portrays the conflicted humanity of the film as well. All of the attention she is getting is deserved, and even if I’d rather Sally Hawkins win the Oscar, Frances McDormand will still make a worthy pick. Lastly, I’d like to point out that Kristen Stewart and Vicky Krieps deserved Oscar nominations for giving phenomenal performances in their respective roles in Personal Shopper and Phantom Thread. Both performances are very subtle, but very powerful at the same time, especially Kristen Stewart. You know you’re a great actress when you can make texting look suspenseful. Alright, four of the best lead male performances of 2017 were not even nominated. Hugh Jackman (Logan), Michael Fassbender (Alien: Covenant), Ryan Gosling (Blade Runner 2049), and Robert Pattinson (Good Time) deserved awards attention, and they got little-none. Oh well, it’s a shame. I’m definitely in the minority on this, but I wish I could see what everyone else sees in Timothée Chalamet’s performance in Call Me By Your Name. Yes, he has some great moments/scenes, especially the heartbreaking ending sequence, but other than some moments and scenes, I found him to be very emotionless and expressionless. Now I know you’re going to mention that it’s a subtle performance, but so was Ryan Gosling’s performance in Blade Runner 2049, where he played a machine, and still had more emotional depth than Chalamet did in Call Me By Your Name. Maybe I need to rewatch CMBYN sometime, but I personally just do not see it. I have not seen Roman J. Israel, Esq., though I’ve heard mostly bad things. Daniel Day-Lewis is easily the best out of these five. If this is his last performance before retirement, then what a performance to end with. He does a phenomenal job portraying subtlety and has flawless line delivery. He also gives his character this really distinctive flavor, too. He’s not the front runner to win, but there is a slim chance that the Academy could give him the Oscar as a “thank you” for his contributions to cinema. I would be so down for him winning. Then we have excellent performances from Daniel Kaluuya and Gary Oldman, both of whom are excellent. I feel that Kaluuya is the most underrated out of these, in that no one thinks he is the worst of the five, but they don’t realize how great he is either. Get Out does not work without Kaluuya’s performance. It is reaction after reaction after reaction, and his line delivery is stellar. As for Gary Oldman, he’s been getting a lot of backlash over the past few months, but despite how mediocre Darkest Hour was, Oldman is excellent. He is to Winston Churchill as Natalie Portman was to Jackie Kennedy in 2016’s Jackie. He transforms into him, even if there are times where he has to deal with very, very odd dialogue, and it comes off as unintentionally hilarious. It’s an excellent performance, and while he may not be my personal pick to win, for that performance and his career as a whole, he has earned it. Denis Villeneuve getting robbed is a crime. Blade Runner 2049 was the most well directed film of 2017. The visual composition is perfect, the interactions between characters feel natural, he explores multiple characters and themes, and the filmmaking as a whole is nothing short of incredible. While I disagree with Lady Bird getting a Best Original Screenplay nomination, at least I can understand it, because there are some unique elements to it. As for Best Director, I completely disagree and do not understand that at all. On a directional and/or technical level, there’s nothing unique or interesting. All of the film comes from the acting and elements of the script. Next is Jordan Peele, who did a fantastic job directing Get Out, especially for a first time director. There are some really creative sequences in the film, the filmmaking itself is pretty great, and while he does not quite deserve to win, I am fine with him being nominated. He shows a ton of promise as a filmmaker, and I am glad that he made it this far. 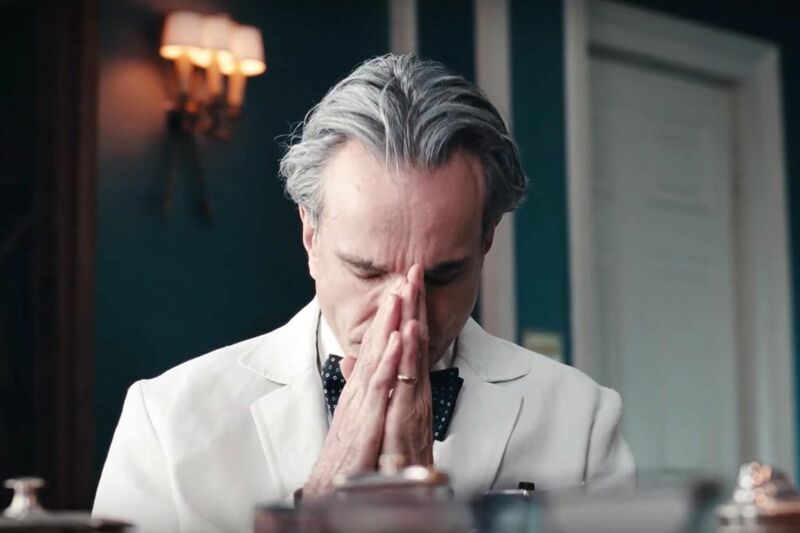 Paul Thomas Anderson does, at the very least, an excellent job directing Phantom Thread. He creates tension and the way that the actors play each other off (especially Day-Lewis and Krieps) is very well done. That said, the two directors who stand out to me most here are Guillermo del Toro and Christopher Nolan. 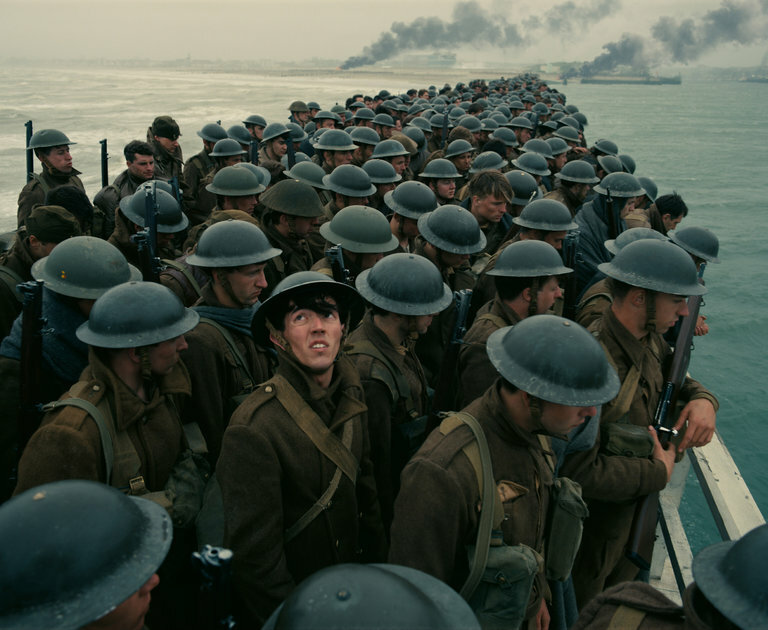 Nolan did an incredible job with Dunkirk, creating tension and terror through technicals and the overall scope. He managed to make my heart beat fast throughout almost the whole film. But my favorite of the five nominees, as well as the front runner, is Guillermo del Toro for The Shape of Water. He took a $19 million budget, and made a film that looks like it was made for $100 million, without it ever looking like there were budgetary restrictions. He created an absolutely beautiful atmosphere, the character interactions are incredibly well done, the visual composition is incredible, and it’s overall such a beautifully directed film. He is the front runner to win, and he deserves it. The Shape of Water is the only film out of these nominees that I would call a masterpiece. It is an absolutely beautiful and phenomenal film that is well acted (especially from Sally Hawkins and Michael Shannon), incredibly well directed & written, beautifully shot, and purely on a technical level alone, it is perfect. It is a film about love, loneliness, and a love letter to cinema in general. It is one of my top 3 of 2017, and I would love for it to win Best Picture. I am guessing that option 1 or 3 will happen. Option 2 I definitely cannot see happening because of genre bias, and there are very, very rare cases where 4 happens. I am going to guess that Three Billboards takes home Original Screenplay and Best Picture, and I am not against that either. It is a great dark dramedy with three really, really great performances, great filmmaking, and a great commentary on Middle America. That said, there is still a possibility where The Shape of Water does win Best Picture, and I’d love that.